Decision Points draws a picture of being a presidents son. 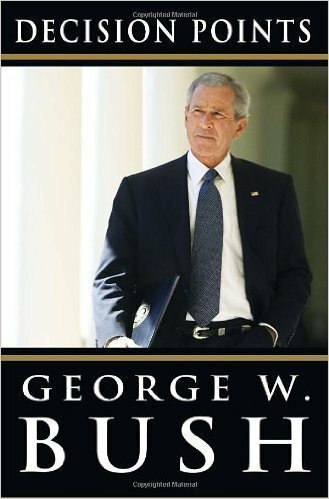 In his book, George W. Bush creates a good picture of his life in politics and his other success and failures in life. While he gives a good view on his policies and motives in politics, the book is bias to some of his actions and views. He does do a good job of pointing out some of his mistakes and problems. The book did not just focus on politics though. George W. Bush discusses his alcoholism problem and how he was able to stop his obsessive drinking habits. This book was a decent autobiography and I found it intriguing to find out more about this presidents life.